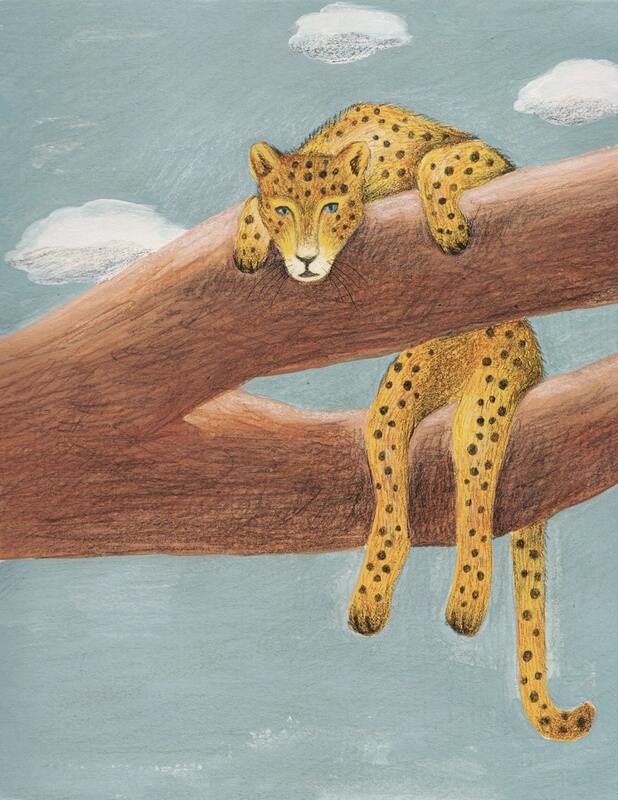 An acrylic and colored pencil drawing of a cheetah relaxing in a big tree. This is a high quality, unframed print. The original artwork was created by me with acrylic paint and colored pencil. It will be signed on the front in pencil and will be shipped to you in a cello sleeve with a tough chipboard backing in a rigid mailer.